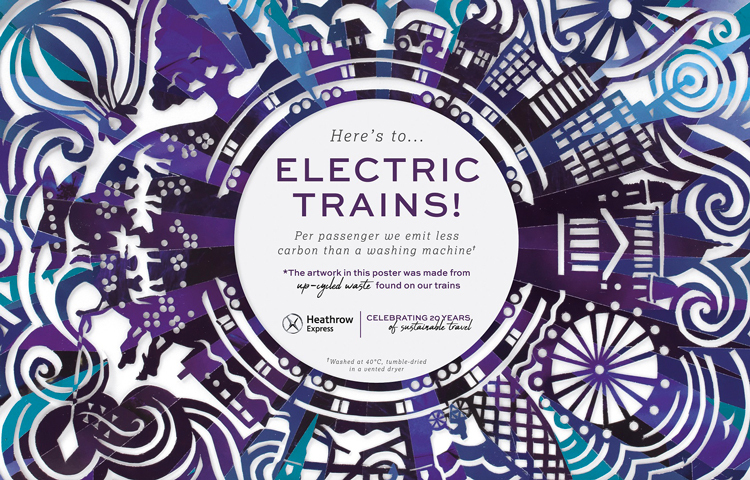 Heathrow Express has launched a poster campaign that looks to raise awareness of recycling, by featuring vibrant sculptures made from rubbish found on London trains. 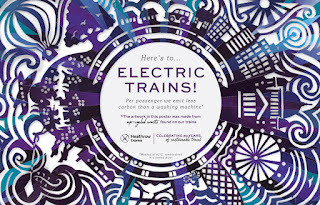 According to Design Week, 'the campaign has been created in collaboration with brand design studio Given London, and illustrator and paper sculptor Rebecca Sutherland, who has hand-crafted art out of rubbish found on trains, such as newspapers, discarded cups and bottle tops. 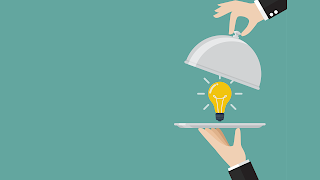 'The “upcycled” rubbish has been turned into a variety of sculptures, from intricate to light-hearted, including figurines of people doing different activities, like dancing, playing instruments and photography, through to typography, patterns and even a replica plate of fish-and-chips. 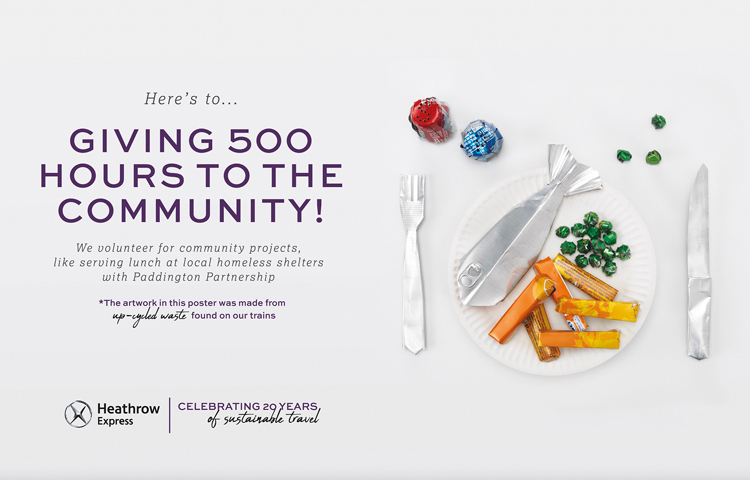 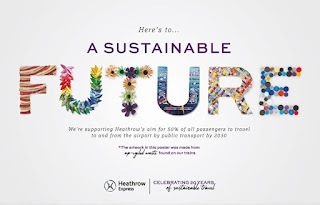 'The various posters, featuring different paper sculptures and vignettes, depict “sustainability achievements” by Heathrow Express, such as cutting their landfill waste down to zero, using electric trains, increasing the number of women train drivers, and the company’s work with education charity Harris Academy in helping 1,000 young people prepare for working life. 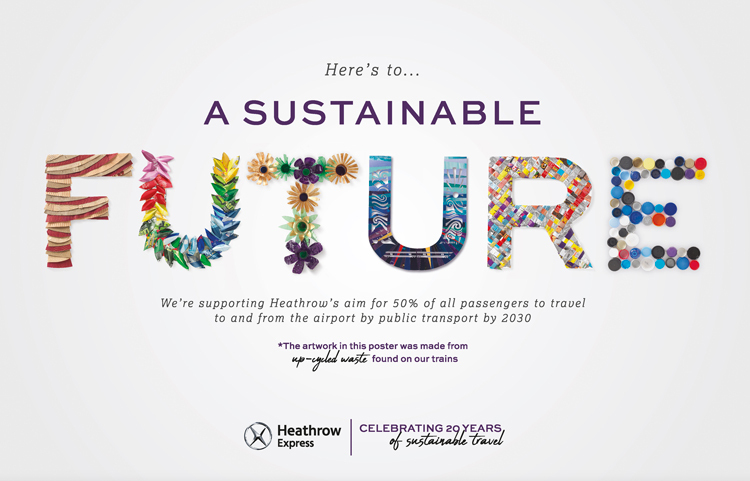 The campaign is part of a wider Heathrow 2.0 strategy for sustainability. 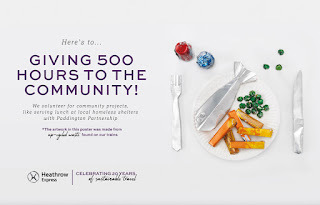 To find out where Rebecca got her inspiration and see more of her work, click here.